Amsterdam is an extremely beautiful city. I love it, because it presents something unique for every one. For me it presents autumn and winter. As I’ve never come to the capital of Holland neither in spring no in summer. And for this reason, I have a clear understanding, that even in nasty weather it is quite comfortable there. 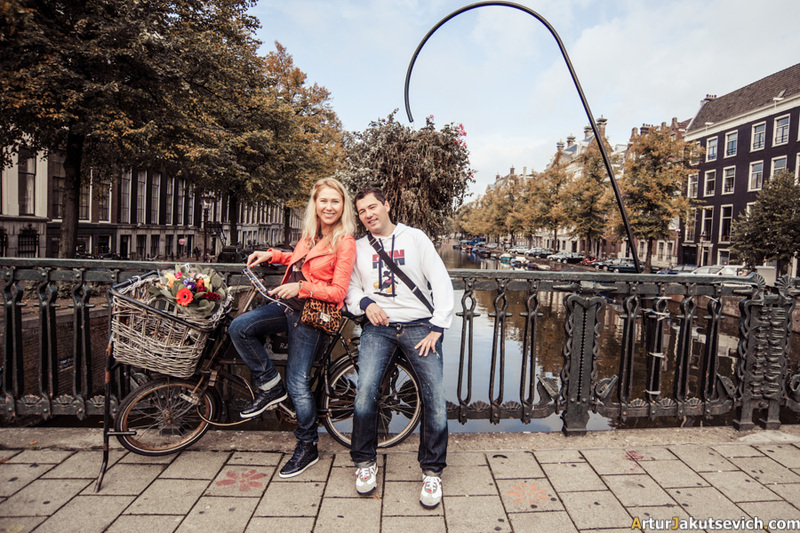 That’s why I accepted Elena and Dmitry’s invitation to organise a photo session in October in Amsterdam with pleasure. Bikes set a standard in Netherlands. Sometimes, I have an expression that by a long stretch of the imagination Dutchmen can fall and beget right on their iron horses. But we’ll talk about this later. Now I’d like to introduce you another Amsterdam, the one we were discovering during our walking tour with photographer around main sights of the city. This part of Europe was unknown for my new friends till this very day, that’s why they decided to spend some money and time to discover something new, namely to come to Holland from Russia. They’ve had several days for the trip and the photo session. Leaping ahead I should say, that we’ve done more, then planned. 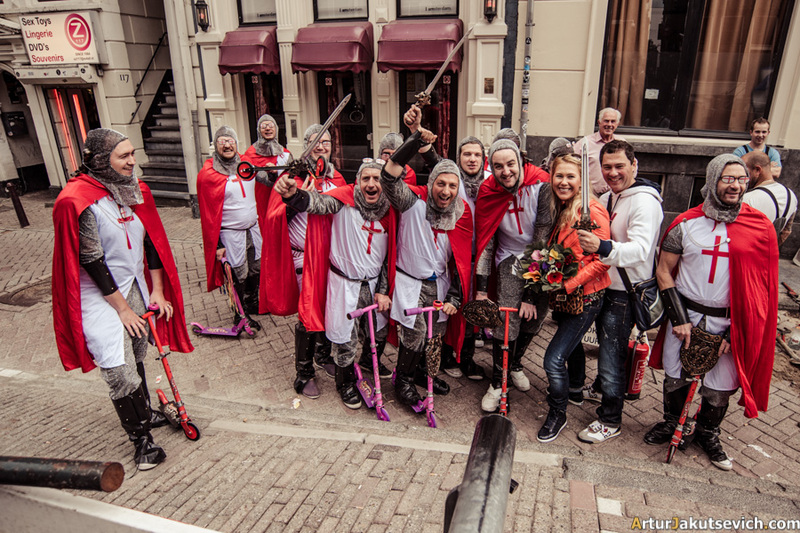 If to choose the most cheerful nation in Europe, then I’d top Dutchmen. And that’s not because they smoke. The statistics shows, by the way, the percentage of drug addicts in the country is one of the lowest in the world. As what is allowed is not so interesting. Dutchmen do know how to enjoy life. Would you decorate your boat or barge with such a sculpture? But for Amsterdam citizens it’s ok. What is it all about! Remember the cube houses in Rotterdam, I wrote about them earlier. Every city has its unique atmosphere and peculiarities. 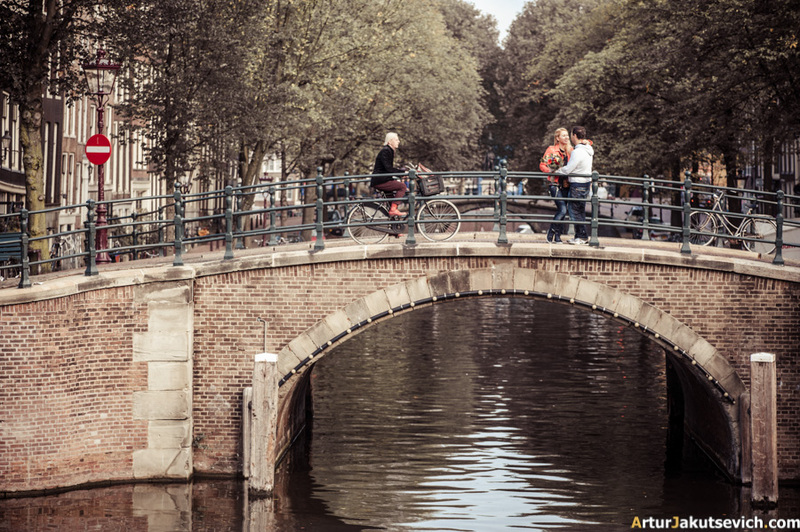 In Rome it is hustle and bustle and feeling of the Eternal city, in Paris – fashion and love and in Amsterdam – water, bridges, barges and incredible beautiful light. The latter doesn’t give way to Venice or Prague. 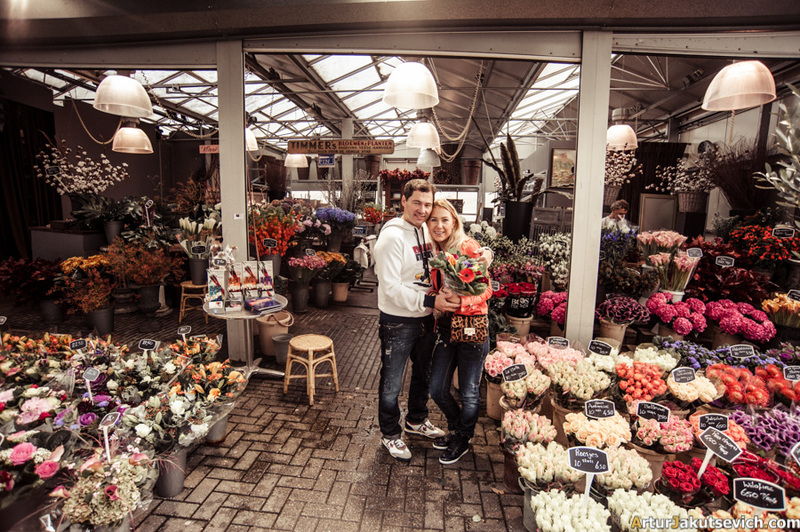 Water is a kind of romanticism in Amsterdam, and flowers is a romanticism for every lady. That’s why, at the beginning of our walk I decided to pass by flower market. There I showed Elena a cheese shop, where I made a few photos for her. But only Dima and I knew the plan. While we were shooting, Dima was waiting for us with an extraordinary bouquet. “Old Amsterdam” cheese is my friend’s favorite one, and he really knows what’s what. Old Amsterdam is a real Must Eat, for every one, who wants to taste something delicious and to bring gifts for friends. That is a brilliant alternative for mushrooms and wheat. During our photo sessions in Amsterdam, we notice various interesting things, details of this or that city and than create signs! 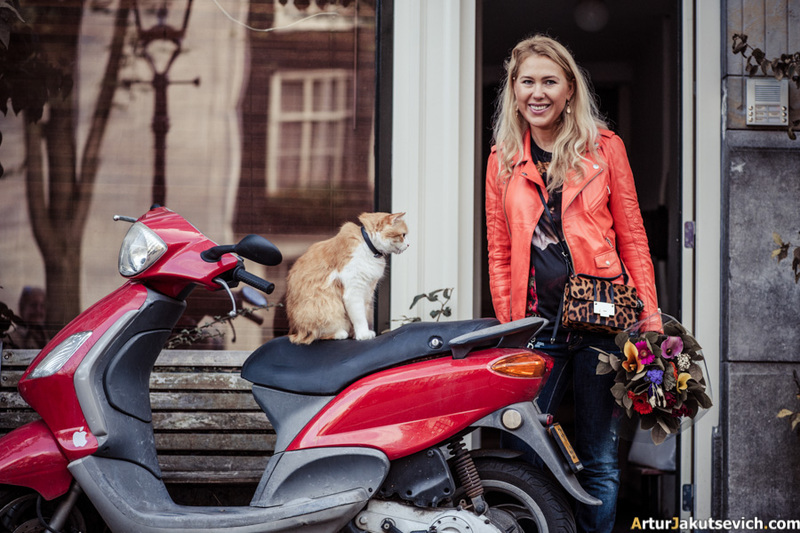 So, if to come to Holland in October, to book a photo session during which you meet a red cat on a scooter, it means that you will come back home in great mood and with a full suitcase of gifts for friends. Ask Lena and Dima whether the sign works! And to make the sign work for 100%, you have to have a ride on a borrowed bike. Our bike was chained, so we’ve used it only as a decoration. To say honestly, even during wedding photo sessions in Prague or Rome early in the morning, I’ve never been into luck with such city sketching as in Amsterdam. It looked as if everyone was asked to stay at home, while we were shooting. Hey, guys, where are you? There was nobody, only beautiful and happy Lena and Dima! But when we met people, everybody was on bikes and had a smile on his face. So, the guys, who were sailing on the boat caught a break and waved hello! 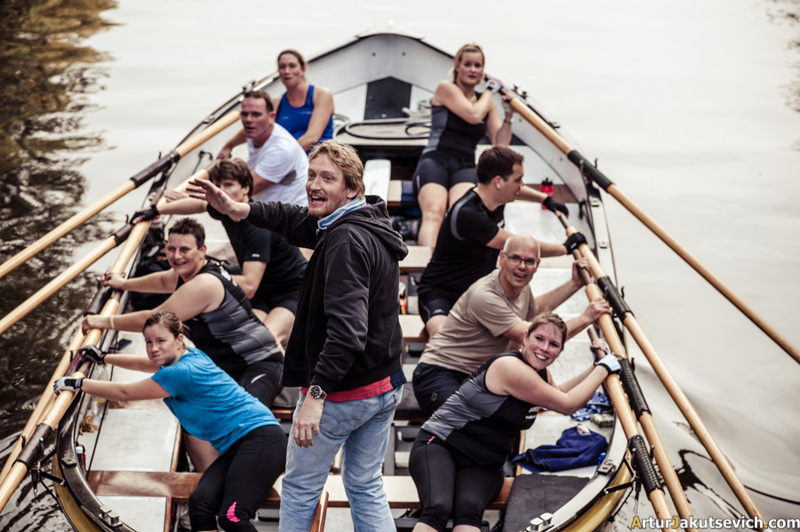 Look at their friendly and smiling faces, despite kilometers they’ve overcome. 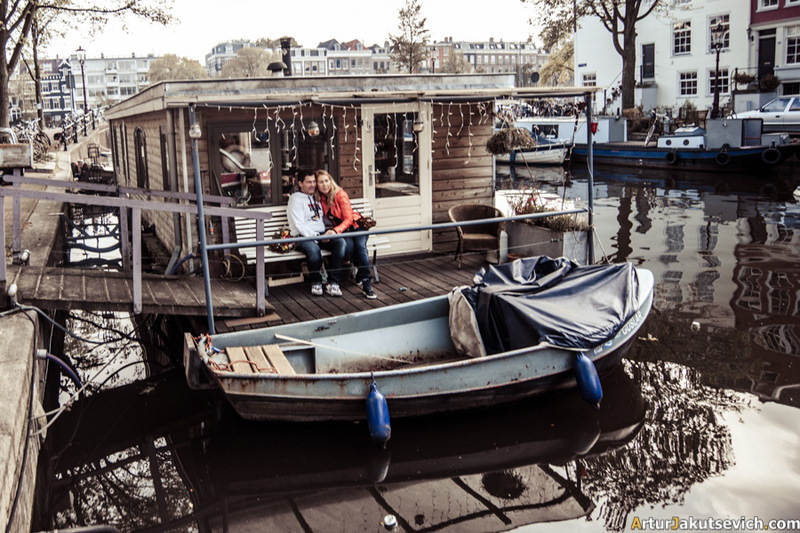 It’s not a secret that many citizens of Amsterdam live on barges, refit into houses on water. Some of them are museums, but most of them create an accommodation unit. How do you think, is it warm and cozy to live in such a “building”? 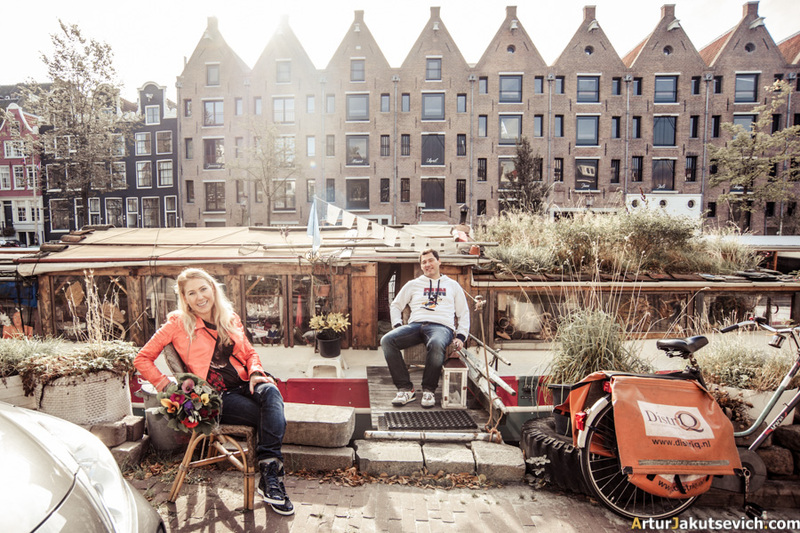 Classic Amsterdam: houses, water, bikes, barges and beautiful people. It’s very cozy in the city. In comparison with other cities of Eastern Europe, where bike riders are on the second place. Parking places for bikes are very compact in Amsterdam, and one really needs practice to park the vehicle. Every single meter fulfils its functions and it doesn’t matter whether it is on the ground or on water. I do like to surprise people but don’t like when some one surprises me. So, in order Lena and Dima remember their photo session forever, I’ve decided to surprise them. By the end of our walking tour Silveo and his friends joined us. 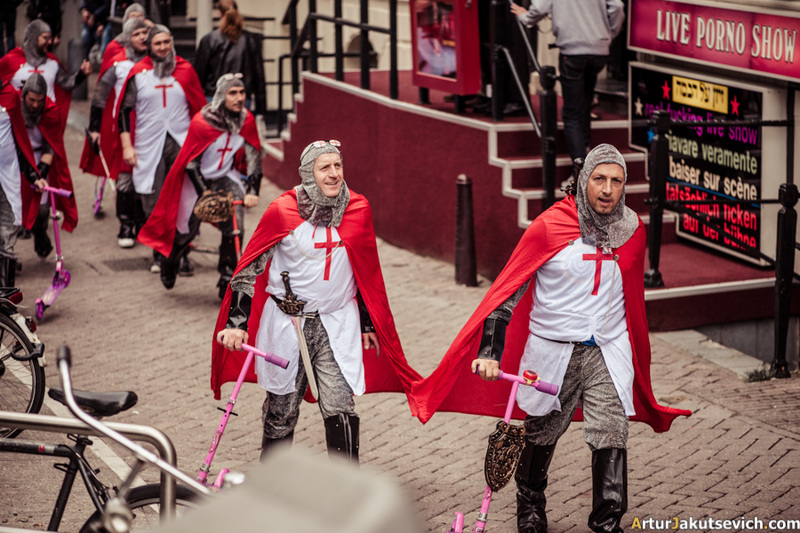 Every weekend these guys, engineers and doctors, turn into crusaders on pink scooters. Believe me or not, but each of them is a respectable man and a good family guy. They just have fun and entertain tourists and citizens in such a way. Of course they agreed to make photos with Lena and Dima. 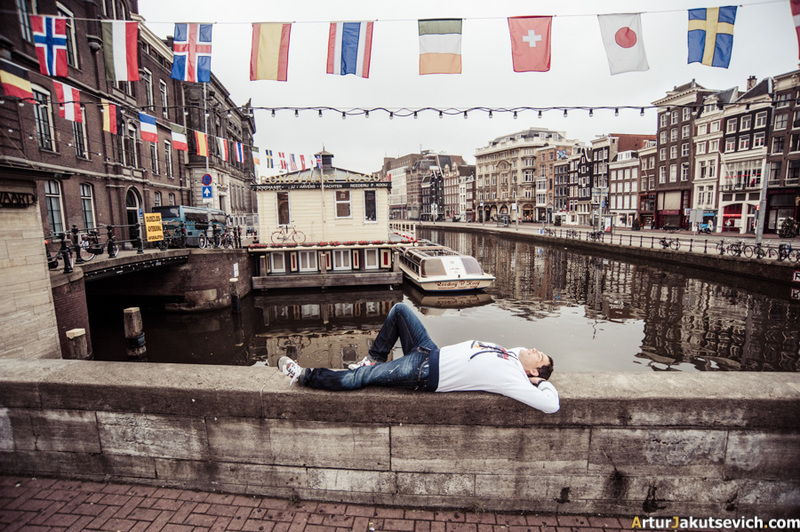 This was the end of our photo session in Amsterdam. Of course we haven’t visited all the places of the city. But I think it is only for the better, as one should examine such great cities step by step. 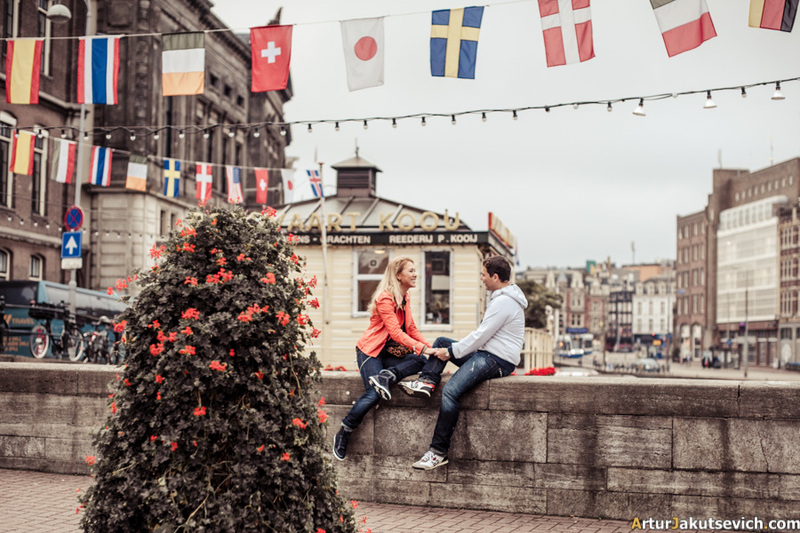 Get inspired with photo shooting in Amsterdam in October and check the date of your trip in the contact form. Great photos Artur! I love it! Would you like an invite next year when the lads do amsterdam? I'm the one looking at the camera on the first picture & central with my sword aloft in the second picture..